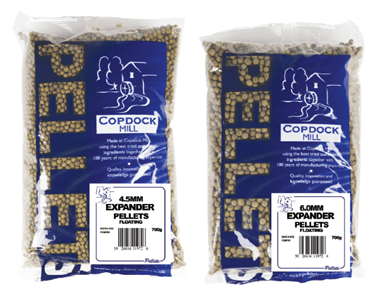 Copdock Mill has over 100 years experience in sourcing top quality ingredients, particles and pellets direct from the country of origin, and has for the last 30 years been supplying these into the UK fishing market. 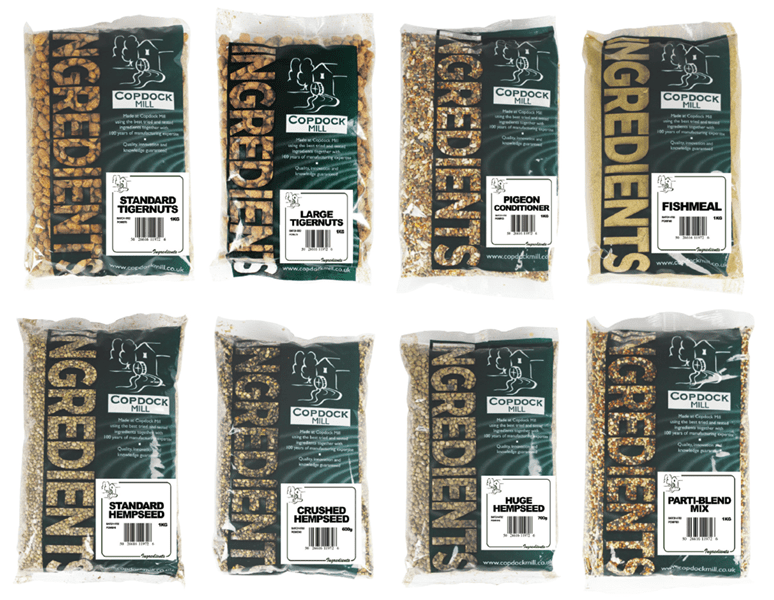 Our range now includes all the staple items including fresh Breadcrumb, Crushed Hemp, Hempseed, Tiger Nuts, Partiblend and Fishmeal. Available: White, Brown, Green and Red. 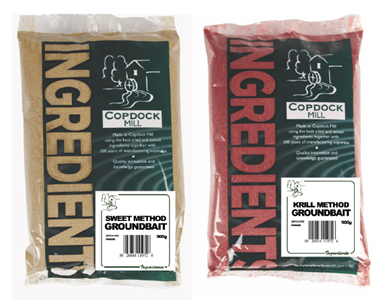 Available: Sweet Method, and Krill Method. 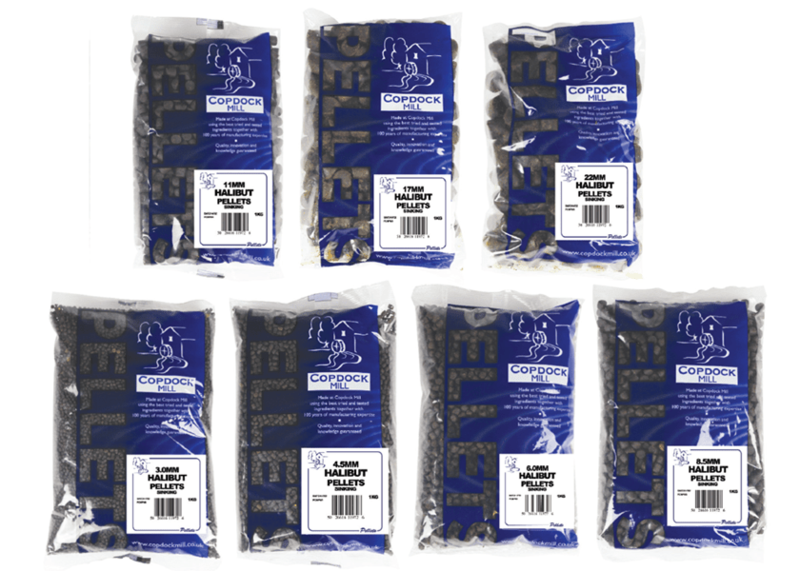 Available: Standard Tiger Nuts, Large Tiger Nuts, Pigeon Conditioner, Pure Fishmeal, Standard Hemp Seed, Crushed Hemp, Huge Hemp Seed, and Partiblend Mix. 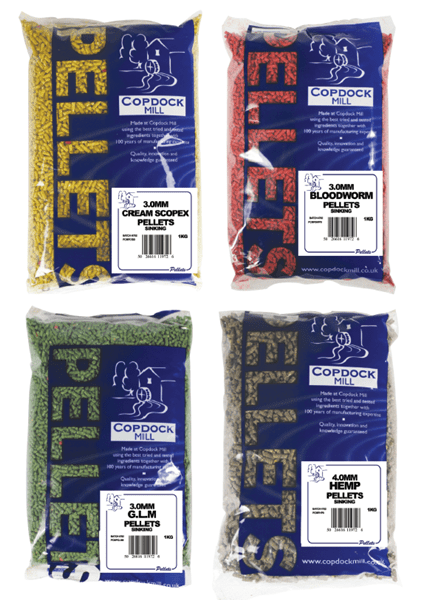 Our core range of pellets represents the very best quality available from fish feed specialists Skretting and Coppens. 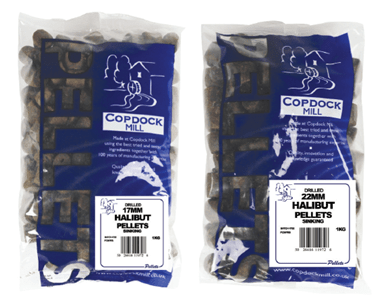 Available: Trout, Marine, and Carp. Available: 2.3ml, 4.5ml, 6ml, and 8.5ml. Available: 3ml, 4.5ml, 6.5ml, and 8.5ml. Available: 3mm, 4.5mm, 6mm, 8.5mm, 11mm, 17mm, and 22mm. 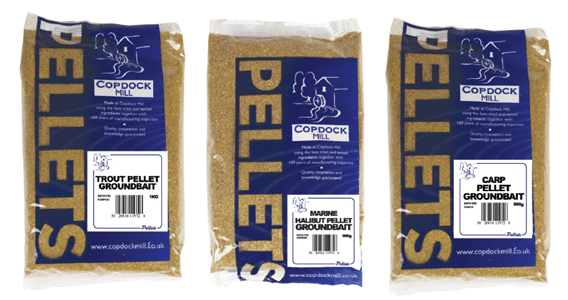 Available: Scopex Cream, Bloodworm, Green Lipped Mussel, and Hemp. 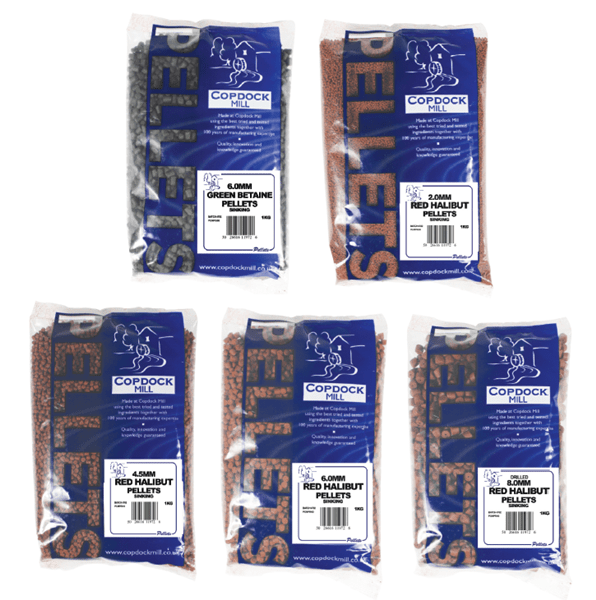 Available: Green Betaine 6mm, Red Halibut 2mm, 4.5mm and 6mm, and Red Halibut Drilled 8mm.